For presentation at April 1, 2010 Trails Council meeting. Contents of this presentation have been revised to incorporated Board suggestions relating to composition of the committee. Talk by Ed Goodell at Board meeting on 2/25/2014. The survey was conducted from 9/13/2013 to 9/28/2013. Out of 108 elegible responders, 53 responded. 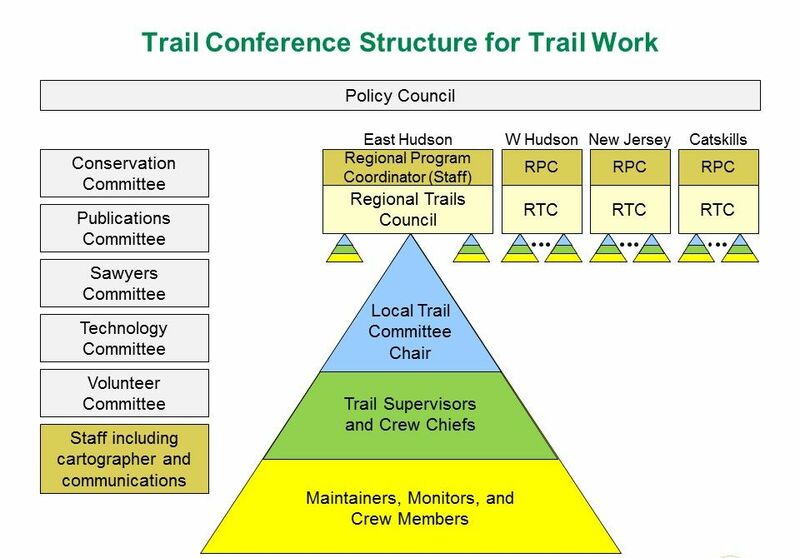 These charts are for the Introduction to Trail Maintenance class, which is offered frequently. The charts remain a work in progress, with recent versions included here. Instructors may wish to modify the charts according to the particular needs of the audience. The current chart deck can be presented in roughly 1 hour.